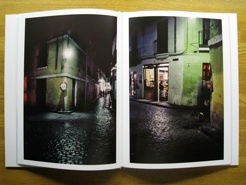 Most people who see Kitai's work may feel nostalgic or experience a sense of deja vu. This is not because he has selected places to which most people have been, but because they are scenes that Kitai himself, alone, had experienced. It is, however, because they capture so precisely eternal scenes from the times in which they were taken that we recognize them as documentaries of times that we, too, can share. 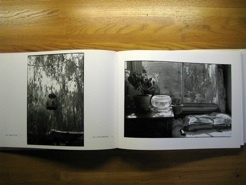 in Tokyo Metropolitan Museum of Photography. 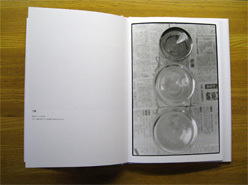 Tokyo Metropolitan Museum of Photography and the Asahi Shimbun. 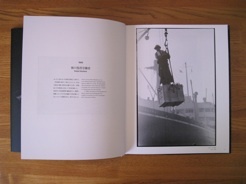 Since 2005, Kazuo Kitai has been publishing a short photo essay in each month's Nippon Camera magazine entitled "Walking with Leica" where he presents short records of a typical Japanese activity -- the photo walk. 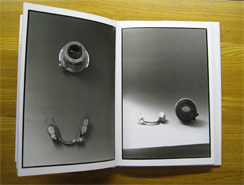 These have been collected in book form, of which this is the most recent to date (published December, 2011). 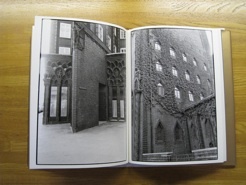 This volume collects photos from the essays published in 2009 and 2010. 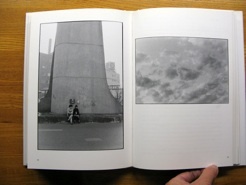 The lastest book from Kazuo Kitai (published January, 2011), Spanish Night brings together photographs Kitai shot in Spain in 1978 as it was emerging from the Franco years. The series Walking with Leica began from my taking photos on walks around the neighborhood where I live. 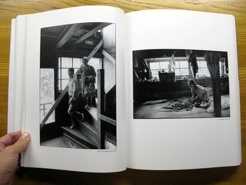 But around the time the photos in this book were taken, I began to consider whether I could also take photos inside my house without having to go outside. At the beginning, I took photos of my “clothes” that I had just taken off, out of a feeling that a part of me still remained in them. I then took photos of the area around my “pillow” just after I got out of my futon (bedding) in the morning; of a “coat hanger” that just casually dangled on the curtain rail over my window; and of an “apple,” from the time it was washed to when it was eaten. A stream of ideas came into my mind as I became increasingly amused by such photos. 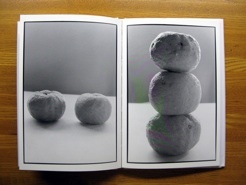 Inspired by my own wild ideas, this series ended up evolving to where I captured “three citrus fruits” and then “three paper scraps” without my being fully aware. 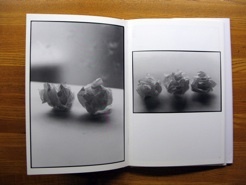 Though these photos were somewhat ‘fictitious,’ they also seemed to be quite natural. 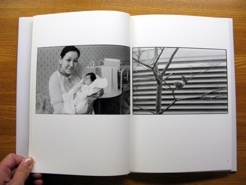 Nippon Camera Magazine’s chief editor, who has been in charge of publishing this series on a monthly basis, saw these photos and muttered, “You wound up retreating into your own comfort zone.” Exactly, I thought to myself; a reclusive life is in fact quite amazing. 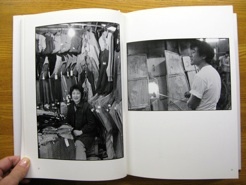 Since 2005, Kazuo Kitai has been publishing a short photo essay in each month's Nippon Camera magazine entitled "Walking with Leica" where he presents short records of a typical Japanese activity -- the photo walk. 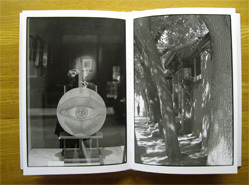 The present volume collects photos from the essays published in 2005 and 2006. Kitai writes in the afterword (Japanese only) that after passing the age of 60, he started to feel awkward about shooting far from home. Turning his age into an asset, he realizes that he could now see things that he couldn't see when he was younger, and he forced himself to take walks around the neighborhood which he has lived in for over 30 years. Says Kitai (roughly translated): "Carrying my old Barnack-style Leica with its collapsible lens, I walk where my walks take me, back and forth between the past and present. Today too I will go for a walk. In this time when digital is becoming the norm, I feel like wanting to reverse scientific progress by using my old camera and lens. Playing this adversarial role is one of my enjoyments." 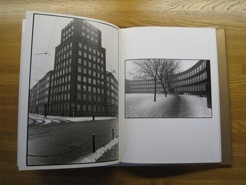 "The Journey into 1920s German Expressionism"
Kazuo Kitai has been a photographer working in a primarily documentary style since the mid-60s, and is primarily known for his two books Sanrizuka and To the Village. 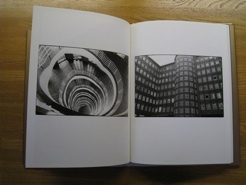 However, in 1980 he traveled to Germany and photographed German expressionist architecture over a four-month period -- a quite radical departure from the grainy, raw black and white photography he had done before. 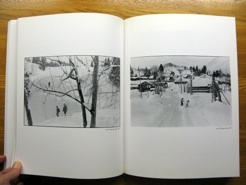 His German expressionist work was serialized in a monthly photography magazine in Japan, but the series was abandoned by the publishers mid-way through. 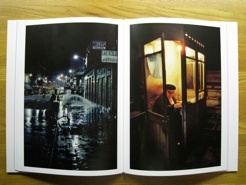 The present work, published in 2008, handsomely brings this work to a much-deserved wider audience. 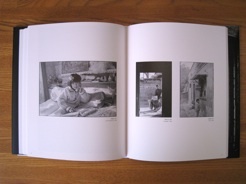 ...by viewing the photos in this book, we are able to understand how the photographer had developed his work from documentary photography to artistic documentary photography. 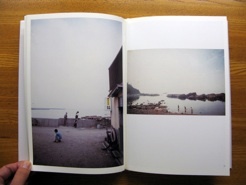 In the temporal sense, the photos in this book follow the ones found in Sanrizuka and Mura e. But the photos in this book can also be seen as the manifestation of the originality that the photographer inherently possessed. 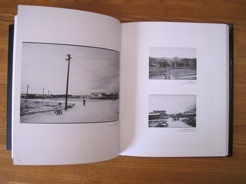 This is the 2006 reprint of Kazuo Kitai's 1989 book, which looks at the public housing complexes in Funabashi, a suburb of Tokyo where Kitai continues to live. 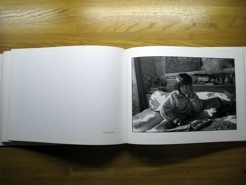 Kazuo Kitai was born in China in 1944, and since 1965 has published over 15 books of his work. 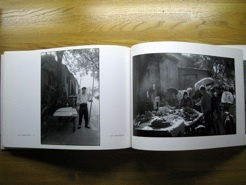 In the 1990s he returned to the country where he was born, and this photobook is the result. I had no place that I can call a hometown as I had repeated moving many times since my childhood. All the same I longed for my hometown and I projected my hometown many times on pictures appeared in a developing solution under a red light in a darkroom. 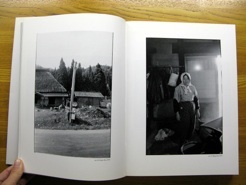 However, while I was taking these photographs, populations in farming villages were being absorbed into big cities continuously as a labor force and the decrease in population in farming villages was advancing. 1970s were the age in which a village community and human relation centering the agriculture had been collapsed and Japan in old and good age had finished.